If you are exercising and want to keep track of your activity, then a tracker might be a useful tool for you. 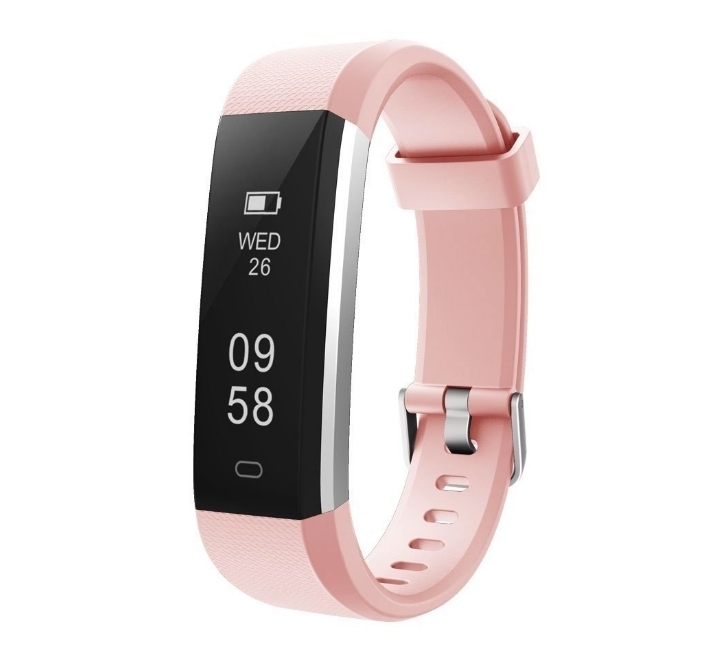 Apart from the gorgeous blush colour, I am loving this Letsfit Fitness Tracker. It resists sweat and splashes of water so you don’t have to hold back on training when the weather is less than ideal. 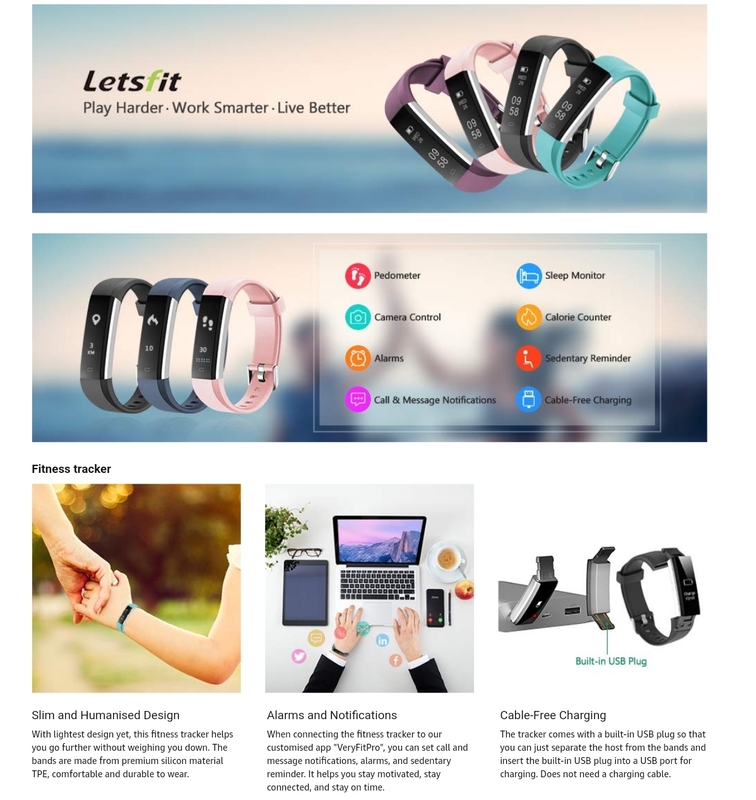 Built-in USB plug makes it easy to charge with any USB block and computer; no charging cable and dock needed.To make the best use of the tracker like viewing sport data reports and line charts, setting sport/sleep goals and more, please use the fitness tracker with “VeryFitPro” app (download in App Store or Google Play). It tracks your sleep cycle, helps you learn how to sleep better, and wakes you silently in the morning. With notification function, you can timely get calls, texts and all kinds of SNS notifications at a glance. VeryFitPro app may NOT work with US version Samsung Galaxy J series mobile phones (e.g. Galaxy J3, J7). Call Alert: The tracker vibrates and the call is displayed on screen when there is an incoming call. Sedentary Alert: Set reminders for periods of time of inactivity. Alarm Alert: Set silent alarms on the tracker to wake you up and not disturb your partner. SNS Alert: Receive notifications from other apps (Facebook, WhatsApp, LinkedIn, Instagram, and Twitter) on your tracker screen. SMS Alert: Read incoming text message on your tracker screen. Remote Camera Shooting: Operation on the screen could remotely control photography shooting. Find Phone: Set the tracker to locate your phone by making the phone vibrate or ring.